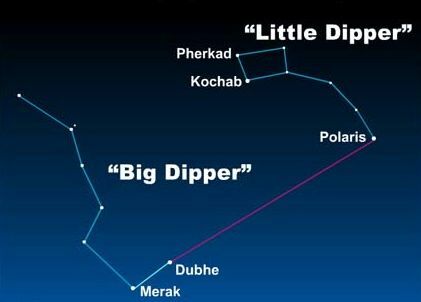 This is pretty cool – do a little space homework, find out when the Moon or planets appear in the direction of setting Sun. Take a piece of picture frame size glass outside at sunset. Find an appropriate place to fasten it between yourself and the setting sun. Sprinkle glass with drops of water. 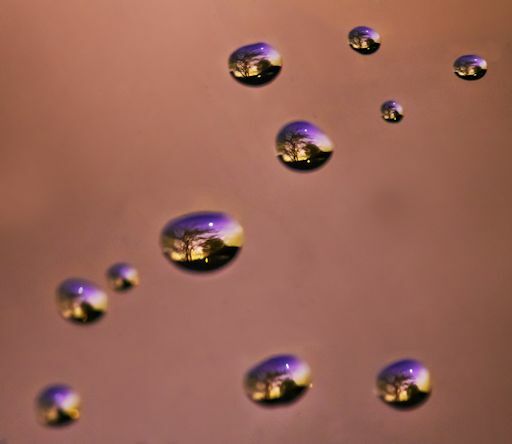 Focus your camera lens on the drops of water……. Photographer John Bell of Haversham, Bucks, UK followed the recipe and obtained the picture above on Jan. 17, 2017. Water droplets act as inverting lenses, so in the original photo the sunset was upside down. “Easily fixed,” says Bell, who restored order by rotating the image 180 degrees. “Focusing was a bit difficult,” he adds. “After all, water droplets are not perfect lenses.” The result, however, was perfectly beautiful. More exposures are available here.